Black Friday Slow Motion Deals 2017! It is that time of the year again when you get to use your savings to get that piece of gear you have been eyeing for a while. Discounted cameras and lenses start to inundate the web to make way for new upcoming releases next year. 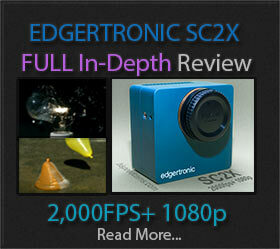 We have distilled the slow motion capable gear that has a discount and listed it for easy access. Sony FS5 Firmware 4.0 Unlocks 120fps FHD! As it was announced back in early April 2017 the Sony FS5 firmware 4 was just released for the camera. It is of note because it unlocks the ability on the camera to shoot 120fps at full HD 1080p continuously without time limit. Of course, you will have to pay the extra $500 USD for the right to do so by unlocking a license code. URSA Mini Pro Offers Pro Features and 120fps! 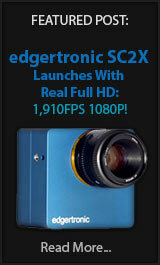 Blackmagic Design has announced a new camera today. The URSA Mini Pro is a marriage of their higher end URSA camera with the still in the product line URSA Mini. It offers built in ND Filters, 15 stops of dynamic range “which is huge for filmmakers”, tons of ports, in body buttons and controls and easy interchangeable lens mounts. Underwater Slow Motion with Sony RX100 IV! Few have attempted filming slow motion underwater and the results are usually underwhelming due to the amount of light needed. The light kits alone can make the undersea wildlife exit in a fast way from apparent danger unless they lack eyes or photo sensors. However with a little ingenuity and keeping frame rates slow but not overly so you can get very good looking footage under the ocean with what amounts to be an entry package. It’s that time of the year again when we revisit and dig up slow motion footage that is just out of this world cool. From the most well known names in YouTube slow-mo to the obscure coolness of the lab and phone tests. Sony RX10 III Ships and Reviews Start to Show! The Sony RX10 III has been the talk of the town as of late with an impressive lens 24-600mm 35mm equivalent or 25x from wide to telephoto. For us the value lies in the High frame rate or HFR mode that has the same specs as last year’s darlings the Sony RX100 IV and RX10 II.